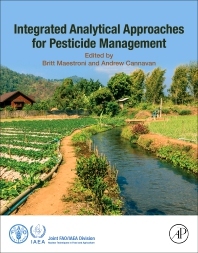 Integrated Analytical Approaches for Pesticide Management provides proven laboratory practices/examples and methods necessary to control pesticides in food and water in various environments. The book presents insights into good laboratory practices and examples of methods used in individual specialist laboratories, thus enabling stakeholders in the agri-food industry to appreciate the importance of proven, reliable data and the associated quality assurance approaches for end product testing for toxic levels of contaminant residues in food. The book is written in a rigorous, but simple, way to make sure that a broad range of readers can appreciate its technical content. The book's practical nature and generic guidelines distinguish it from others in the marketplace.